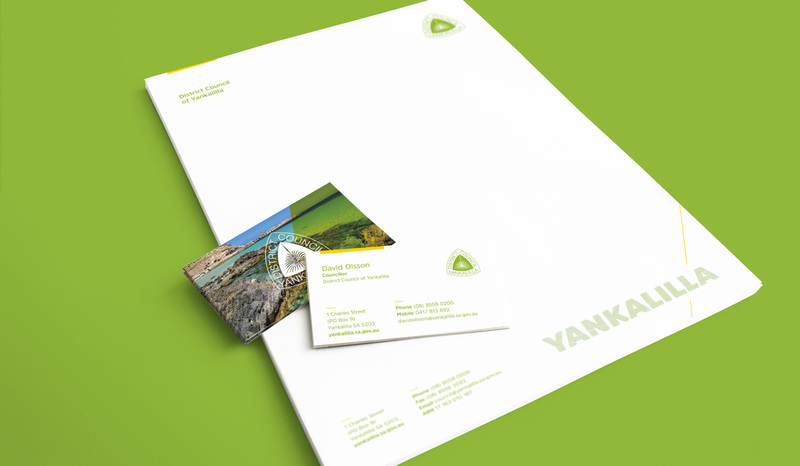 Algo Más recently worked with the District Council of Yankalilla to develop new corporate colours and supporting brand elements. The new colours consist of a vibrant green and yellow palette. The colours were chosen to reflect the growing energy and activity in the electorate while also referencing the grassland and beaches that are so prominent in this District. As a part of this revitalisation, we developed new stationery and a vehicle wrap. 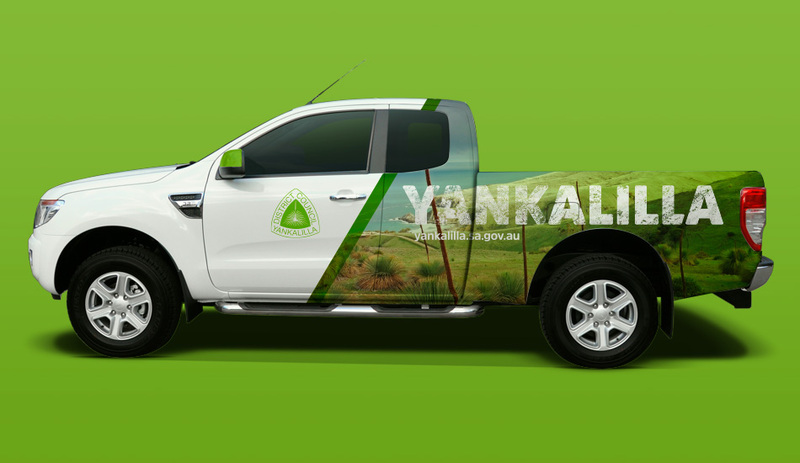 The vehicle wrap shows off the magnificent coastline and a rugged ‘Yankalilla’ wordmark. The grainy nature of this wordmark is a reference to the natural elements of this District. The wordmark was a brand element developed to be used with and without the council logo, it provides a contrast to the corporate structure of the Council logo.